It seems that the majority, when Christmas festivities are approaching, the body asks us for something glossy. Of course, with prudence, we will not fall into a vulgar effect that finiquite our reputation for balance and good taste treasured for the rest of the year. In the same way it happens in our most human everyday, this is what happens in the world of papers. Arriving at these dates and the taste is inclined by a pinch of luxury and distinction seasoned with a touch of light. To keep us in harmony with what has been described, we have a winning horse with the Curious Metallics collection. 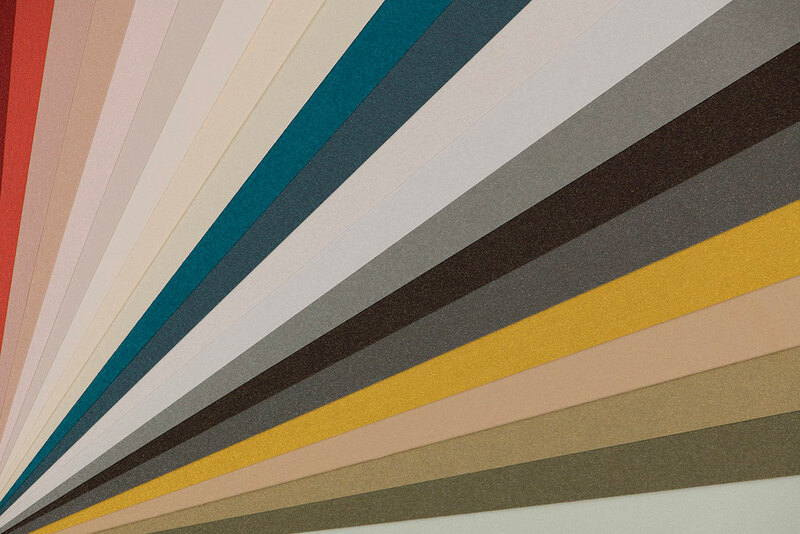 This family of special papers, characterized by a subtle metallic shine, is renewed with 30 colors that keep each other in line. In fact, they appear divided into 8 families to facilitate the professionals’ combination of papers. Their new shades go through the trend-setting colors: refreshing greens, pastel shades and precious natural metals. They also complement perfectly with the rest of families that make up the renewed collections of Arjowiggings. Above all, the connection with the Curious Translucents is very easy. The Curious Metallics collection is FSC certified and is manufactured in an environment with the ISO 14001 EMS certification, international environmental management standard, equivalent to the ISO 9000 series of standards for quality management systems. In the printing houses, it stands out for its excellent printing capacity and its fast drying. Available paper weights: 120 – 240/250 y 300 g. It has envelopes in the formats C5 (16.2 x 22.9 cm), SQ (17 x 17 cm), DL (11 x 22 cm) and DL (P) (22 x 11 cm) that is, bag type. The references Ice Gold and White Gold in 300 g also have the option of embossing Fusilier (striped). Ice Gold from 1 package (100 sheets) and White Gold, as stored in Spain, from 25 sheets (open package).